There is a wrong way, a right way, and then the better way. The material in the left-side picture is the underlayment for the tile. The tile in the right-side picture demonstrates the formation the mortar take after installation. These pillars produce exceptional strength. The spaces between the pillars remain open, allowing the wooden subfloor to flex independently from the tile structure. This prevents stresses within the floor from passing up into the tile structure and causing cracks and loose tiles. Learn more at Schluter Systems. Often, the stick construction used in today's homes results in floors that bow up and down over time. The industry requirements for floor flatness are very strict, especially for the popular wood-look plank tiles due to their long dimensions. 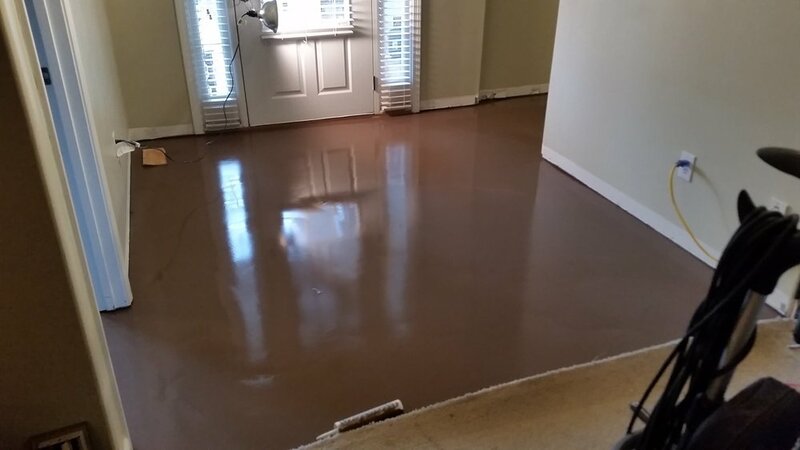 When this is an issue, a self-leveling compound can be used to obtain a nearly perfectly flat floor. Depending on the type of tile, their dimension and the desired tile spacing, the use of a leveling system may be warranted. Use of these devices during installation pull the edges of adjacent tiles flush with each other. This results in a truly barefoot floor.